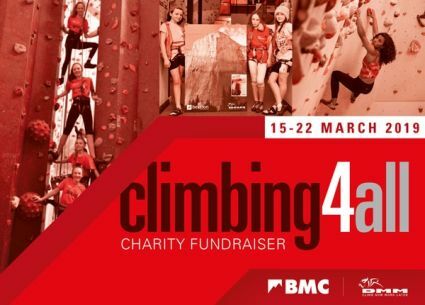 The BMC is running a fundraising campaign from the 15th - 22nd March 2019 to help UK based charities that work through the medium of climbing and the outdoors. Teams from schools, universities and climbing clubs can sign up to raise money through one of the BMC's climbing challenges or make up their own. The BMC Challenge can either be done inside on a bouldering, roped or traverse wall or outside by enchaining a number of routes or boulder problems together.